CANNON BALL, North Dakota -- An arrest warrant has been issued for Democracy Now! executive producer Amy Goodman, charging her with criminal trespass when Native Americans were attacked by vicious dogs defending burial places on Sept. 3, 2016. 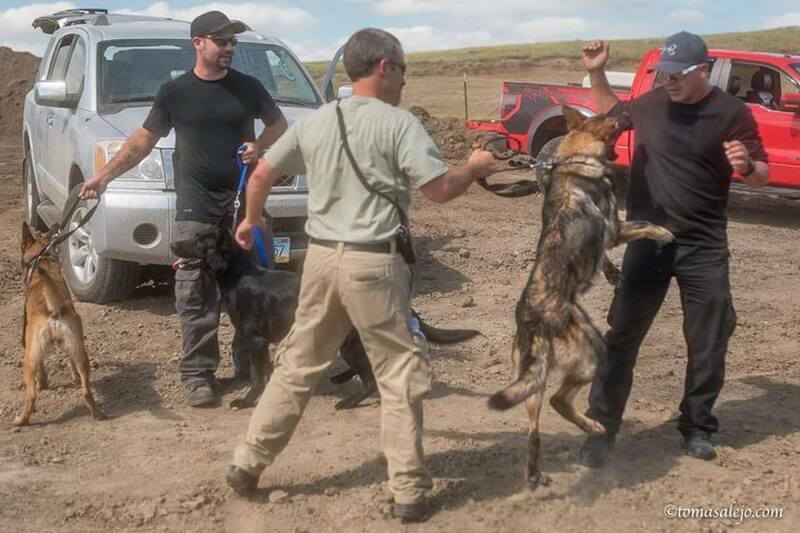 The charges of Amy Goodman and Cody Hall for Sept. 3 -- when vicious dogs attacked the protectors -- state the "protesters" broke through the fence, "assaulted security guards," and entered private land. The charges against them were filed Sept. 8, 2016. 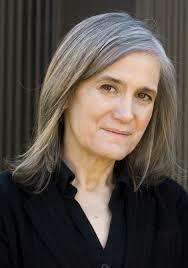 Amy Goodman said, "This is unacceptable violation of freedom of the press. I was doing my job by covering pipeline guards unleashing dogs and pepper spray on Native American protesters." Goodman is host and executive producer of Democracy Now! On Sept. 6, a Lakota woman and man from the Amazon locked down to the Dakota Access pipeline bulldozers to prevent destruction of the burial places. The charges state there was damage to equipment, painting of equipment, a tire was flattened, and dirt was placed in fuel lines, on Sept. 6. Cody Hall was identified addressing those present, according to the charges. Cody Hall was arrested last night on the highway between Bismarck and the camp. Amy Goodman is charged with criminal trespass, misdemeanor B. Cody Hall is charged with criminal trespass, misdemeanor A and B. The investigating officer is a special agent with the Bureau of Criminal Investigation for North Dakota. The charges state that videos are being used as evidence against Goodman, in fact her own video, and against Hall. Meanwhile, all those passing through the roadblock south of Mandan appear to be photographed and profiled by police. Censored News readers have identified those responsible for the vicious attacks by dogs, from their vehicle license plates. 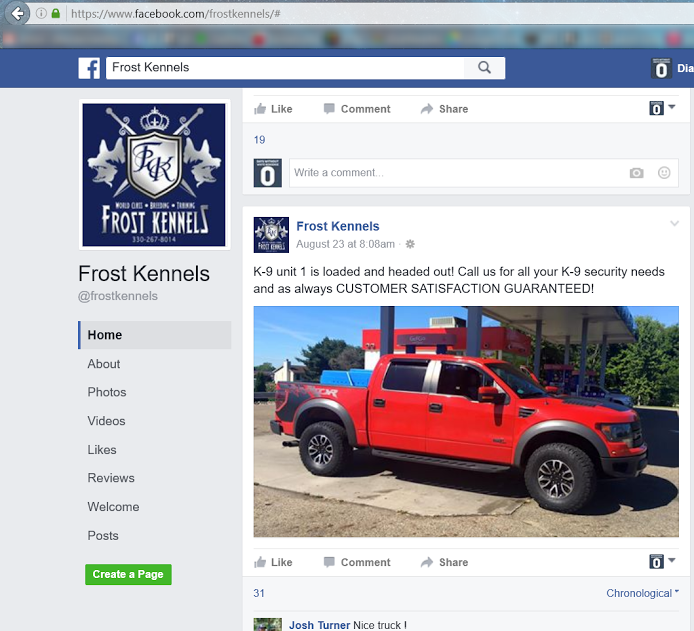 Frost Kennels in Ohio is identified by their vehicle plates and confirmed their involvement in Facebook posts. The question remains: Will North Dakota file charges against the security guards with attack dogs? 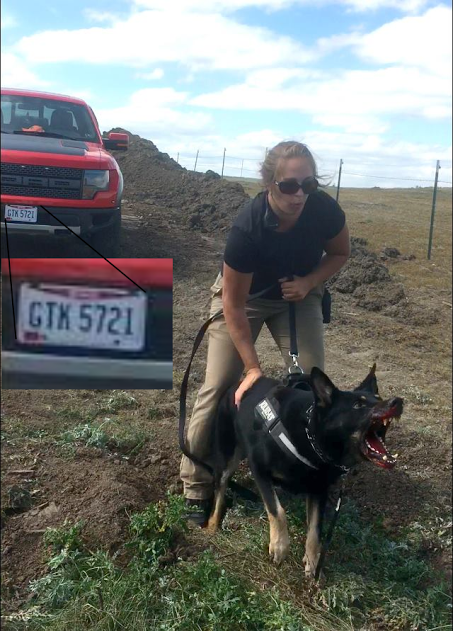 Although North Dakota officials told media that they could not identify the dog handlers, as shown below they are easy to identify by their license plates. They also confirmed their presence in public Facebook posts. American burial place on Sept. 3, 2016. The red truck of Frost Kennels of Ohio -- shown in a public Facebook post -- is shown on Aug. 23. The vehicle is identified at the scene of the attack on Native Americans and their supporters as they defended a burial place being desecrated by Dakota Access bulldozers. for the dog attack. However, the license plates are clearly shown. Frost Kennels of Ohio confirmed in Facebook posts that it is responsible. This attack dog has blood in its mouth. 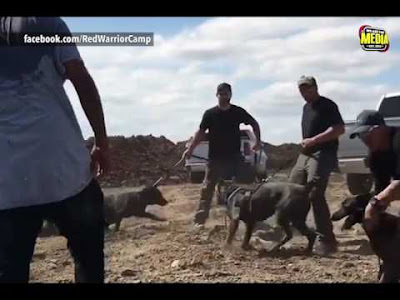 Attack dog is out of control and attacks one of its own handlers on Sept. 3, as bulldozers ripped into an area of Native American burial places in violation of federal law protecting Native American graves. Breaking news please check back. Sharing widely. The truth must out. Expected when you look at who the governor is and senators.. Hilary watchdogs. Trump supporters. Amy got em good. Try to deny Dem Now now! Racism is alive and well in north dakota. Keep letting g the rest of the world know that america does not care nor is sorry for what it did to this lands owners. I apologize from the bottom of my heart for what my race has and is still doing to your people. Don't back down thousands stand with you and demand this treatment stop. This is bigger than the Pipeline. 100 of years of oppression and genocide need at least a public apology apology treaties honored. With you in spirit in kansas my brothers and sisters. 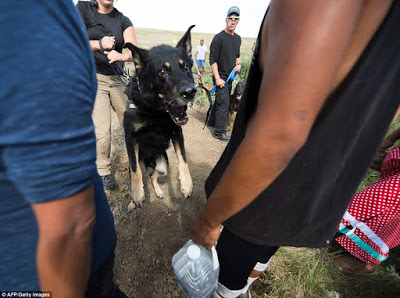 If the situation was reversed, if standing rock protected brought in vicious dogs the people and dogs would have been shot on the spot. The only protection offered is fot dapl, corporations.Our tax dollars used against us! The corporations have law on their side. The federal law protecting Native American burial sites and artifacts, NAGPRA, applies to federal land. This desecration is however a felony under North Dakota law, which protects these sites even on private land--and according to the last paragraph here the law also specifically states that it applies to pipeline construction. How is this tresspassing if it is on native lands? The construction, private security and anybody opposing the natives are trespassing. This is not ok!!!! NOT OK!!! That a private company can hire law enforcement and attack dogs against people trying to protect land that is theirs from people who have no business being there in the first place!!! Oh but its allowed to continue because there is money behind it. The keystone pipeline was stopped because people are starting to wise up, we dont want to allow this destruction to continue. They think they can sneak this one in without anybody noticing? When will theu realize that the majority does not want this? This planet is nothing more than a terrarium in space. There is a delicate balance allowing life to prevail here. Once we pollute it enough that balance will be thrown off and it will no longer be habitable. We need clean water to drink, we need clean air to breathe, we need animals not contaminated with so much toxin that we cannot eat them. And even if we dont eat animals, we still need animals to stay alive. We need plants, those plants need animals, animals need plants, we all need each other. Polluting the water hurts everything. The planet will die.And it will be our fault. Life is so beautiful!! And companies dont even care that they are killing the very thing supporting our lives. They just want money. Protect this beautiful place we call earth!! She is the mother of all and as far as im concerned, that is god!!! Not a man, the earth!!! I am going to have my vehicle converted to a hydro burning vehicle . So that way I'll never have to buy gas ever again. My friends have already done this. Now you know who they are. Demand statements from the dog handlers. Is this video unfairly edited? Is this what you do? Is your behaviour unusual? Beyond bounds of what you consider normal? Is that blood on the dogs mouth? Are you now continuing and deepening the attack? Who paid you to do this? Do they trust you to do what you do? Thanks once again for your brilliant and consistent reporting on this and so many other issues. I appreciate your hard work and dedication. Your blog is one of very few places left where a person can find out what is actually happening. That the 'authorities' did not bother to investigate the people behind these dog attacks is outrageous. Well, they can't pretend not to know who was responsible now. I love how the people have taken to calling themselves 'protectors' instead of 'protesters.' I am profoundly grateful for what they and you are doing. It obvious that n.d. is somewhat of a Jim Crow state, from the good o boy governor to the good o boy law enforcement. The state seal should say the only good indian is a dead Indian, see that is how the governor and law enforcement think. The state of n.d. belongs in the deep south since they have been masking their racism for all these years. We need to get every organization in the world we can to boycott everything n.d.
How can they be identified and arrested? Would the sheriff or local police do that? Isn't there ANYthing we can do about that governor and police department? Even the dog knows it's wrong...! The oil companies hired security scares up a little girls face that almost took out her eye, so they press charges on the news journalist for trespassing because they didn't like what they had to say. This violates the rights of all professional news reporters to cover news. The oil company is going after your jobs, I would be worried. Alright..to all of you out there, including the protectors of Standing Rock...First of all, Your Constitutional Rights have been violated by the State and the State itself is liable by Law. Secondly, Under protection of the law, abuse of Law by Law enforcement is a violation by Federal Standard. this Amendment allows all citizens US, to claim " Redress" of Government Law, as well as Officials liable. any and all taxes...without paying any taxes, the State would shut down. Boycott all functions of the State or Government. recall all elected Officials in Office. Boycott any income to the State. And, refuse to support and funding to their government. Wildman. America's Military deployed against its own people. 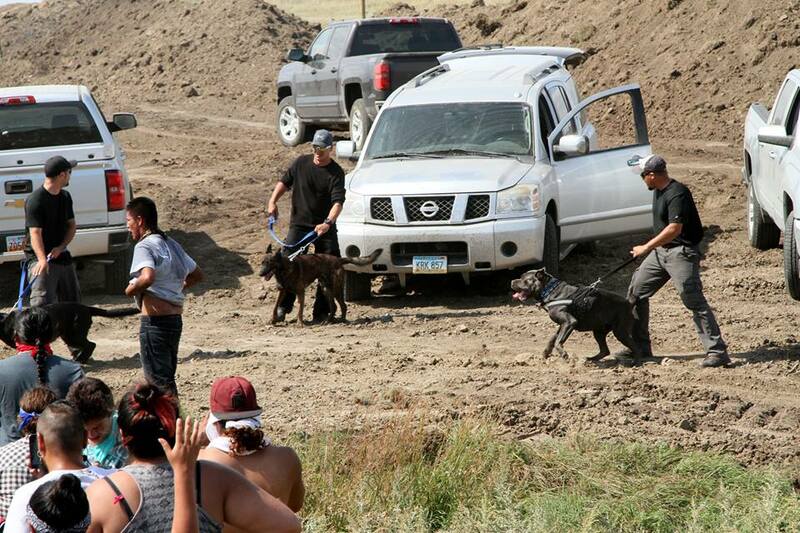 The State of ND has called out the National Guard against PEACEFUL Water & Land Defenders. Yes, NAGPRA applies to federal or tribal land. The collections provisions of the Act may apply if they come under the control of an institution that receives federal funding. The Army Corp issued the permit ? If so, isn't the Corp culpable, especially since they issued permits knowing cultural sites were or quite possibly present ? And for Energy Transfers to pull their equipment off of another site and target bulldoze the burial grounds is malicious destruction.